The last issue of The Wealth Counselor addressed the significant need for clients to plan for the possibility of disability, and how proper disability planning more often than not involves the coordination of financial and legal solutions. This issue addresses a related and often misunderstood topic, Medicaid planning. Medicaid (Medi-Cal in California) is a federal government program that provides financial assistance to persons age 65 and over, or those under 65 who are disabled and who are in need of substantial medical assistance. Medicaid is a needs-based program - a person must have a medical need for the assistance and must be of limited financial means before he or she may qualify. Planning Tip: Medicaid is very different from Medicare. Medicare is health insurance available to all persons over age 65 who qualify for Social Security, as well as those who are under 65 and who the Social Security Administration determines to be disabled. Medicare will not pay for nursing home, assisted living or home health care on a long-term basis. Medicare will only pay for this type of care for up to 100 days, and only for the purpose of providing rehabilitation following a three-day or longer hospital stay. Unfortunately, with the rising costs of long-term care, many people cannot afford to pay privately for home health care, assisted living, or nursing home care. According to the 2006 Study of the MetLife Mature Market Institute, the national average cost for a private room in a nursing home is over $75,000 annually. The national average cost of in-home care is between $17 and $19 per hour. As noted in a recent Harvard University Study, 69% of single people and 34% of married couples would exhaust their assets after 13 weeks in a nursing home. For those whose assets won't last 13 weeks - much less the rest of their lives - Medicaid planning becomes an important consideration. Planning Tip: Most people do not have sufficient assets to pay privately for long-term care. Medicaid planning is most appropriate for these individuals, a growing segment of the population. The term "Medicaid planning" involves either spending down or otherwise protecting a person's assets so that he or she has minimal assets and can meet the financial criteria for Medicaid qualification (which can be as low as $2,000 for a single person). Although based on federal law, Medicaid rules are different from state to state, and even county to county, and therefore it is important to consult with a legal expert in the field of Medicaid. Furthermore, the transfer of assets, purchase of financial products, or otherwise disposing of assets has tax implications for the transferor as well as the recipient, necessitating the advice of a tax advisor. Finally, a financial advisor is a necessity to help clients choose the correct financial products as part of an overall Medicaid planning strategy. Planning Tip: Medicaid planning requires input and a coordinated effort from the client's legal, financial and tax advisors, all of whom should be knowledgeable in Medicaid planning. Medicaid planning can be divided into two types: pre-planning and crisis planning. Pre-planning is for those individuals who have not yet begun to spend their assets on private care, but may need to in the coming years. Crisis planning is for those individuals using their life savings for long-term care (either at home or in a facility) with a substantial risk that they will run out of money. In pre-planning cases, life insurance can provide tremendous planning benefits when implemented correctly. The purchase of a single premium life insurance policy by an irrevocable trust, or subsequent transfer to such a trust, will not only replace a couple's net worth, it will protect the cash value of that policy from Medicaid. Alternatively, if not owned by an irrevocable trust, the cash value of any life insurance policy will count against the amount of assets a person can keep and still qualify for Medicaid. For example, assume Mr. and Mrs. Jones, both age 65 and in good health, have $450,000 of assets. At their age, a single premium of $100,000 would buy a second-to-die death benefit of nearly $450,000. If an irrevocable trust owns the policy and neither Mr. or Mrs. Jones have access to the trust assets, after a certain period (most likely 5 years), their entire net worth would be protected from Medicaid, and Mr. and Mrs. Jones would still have $350,000 left to live on. Mr. and Mrs. Jones could transfer more assets to the irrevocable trust, if they desire. In fact, if the couple also purchased a five-year long-term care policy (or a life insurance policy with a long-term care rider), they could protect all of their assets from Medicaid, even with a 5 year look-back period. Planning Tip: With pre-planning clients, life insurance owned by an irrevocable trust, perhaps combined with long-term care insurance or a long-term care rider, can provide significant Medicaid planning benefits. For those who choose to plan early, the use of an irrevocable trust combined with life insurance and/or long-term care insurance can provide optimum asset protection for an aging client. When gifting is used as a planning strategy, the person receiving the gift often needs advice on how to invest the money they receive. Thus, Medicaid planning also opens the door for the financial advisor to converse with younger family members about the need for proper planning, including the need for disability insurance and long-term care insurance. Planning Tip: Medicaid planning can open the door for the financial advisor to begin working with and planning for younger generations, while establishing the need for disability insurance and long-term care insurance. Even with crisis planning there are significant planning opportunities for our clients. While transfers either outright to a family member or to an irrevocable trust create a penalty period for the person making the gift, sometimes a planned strategy involving gifting and the use of an annuity can provide a valuable crisis planning tool. For example, assume Mr. Jones suffers a stroke and ends up in a nursing home, and his cost of care exceeds the couple's monthly income by $4,500 per moth. Since the couple has assets of $450,000, they are $346,360 over the allowable limit of $101,640 for a married couple. One under-utilized but very effective strategy is for the couple to purchase a Medicaid Qualifying Annuity (MQA) in favor of the healthy community spouse, Mrs. Jones. By converting the excess assets into an income stream, Mr. Jones can now qualify for Medicaid and the MQA provides Mrs. Jones with extra income to supplement the loss of her husband's income (which must be paid to the facility). For a single person in crisis planning, a plan of partial gifting plus the purchase of a single premium immediate annuity may be appropriate. Keep in mind that any time a Medicaid applicant makes a gift, whether it is to another person or to a trust, Medicaid will impose a penalty based on the size of the gift. The penalty is the equivalent of a waiting period - the larger the gift, the longer a Medicaid applicant must wait to obtain eligibility. 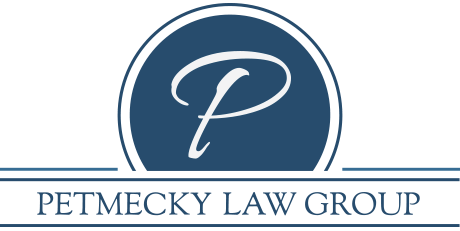 Because of the severe penalties for gifting, clients should not undertake this type of strategy without the legal advice of a Medicaid planning attorney. Planning Tip: Annuities play a crucial role in Medicaid planning, particularly with crisis planning. In determining which clients are appropriate for Medicaid planning, it is important to consider the client's age and life expectancy, monthly income, monthly medical expenses and other assets. Take Anna, a 72 year-old woman residing in an assisted living facility costing $3,500 per month. She has other medical expenses, including prescriptions, of $300 per month. Her only income is from social security, which amounts to $1,200 per month. Anna is depleting her savings at a rate of $2,600 per month, just for medical expenses. Anna has $450,000 in a brokerage account, which on its face sounds like a lot of money, given she is only spending approximately $36,000 per year on her care. But when we take into consideration the fact that Anna may very well need more care in the future, which could cost as much as $10,000 per month, and given her life expectancy of 13.96 years, it is clear that Anna's assets may not be sufficient to cover her long-term care expenses for the rest of her life. Anna is not only an appropriate client for Medicaid planning, she is a crisis planning client. Planning Tip: It is important to take a client's age, medical needs, monthly expenses and income into consideration to determine whether Medicaid planning is necessary or appropriate. Due in part to the rising costs of long-term care and the fact that we are an aging population, Medicaid planning is a growing area of practice for attorneys, CPAs, financial planners and insurance professionals. However, as evidenced by the content of this newsletter, Medicaid planning requires that these disciplines work together collaboratively to ensure that the client avoids the numerous pitfalls that exist in this area.